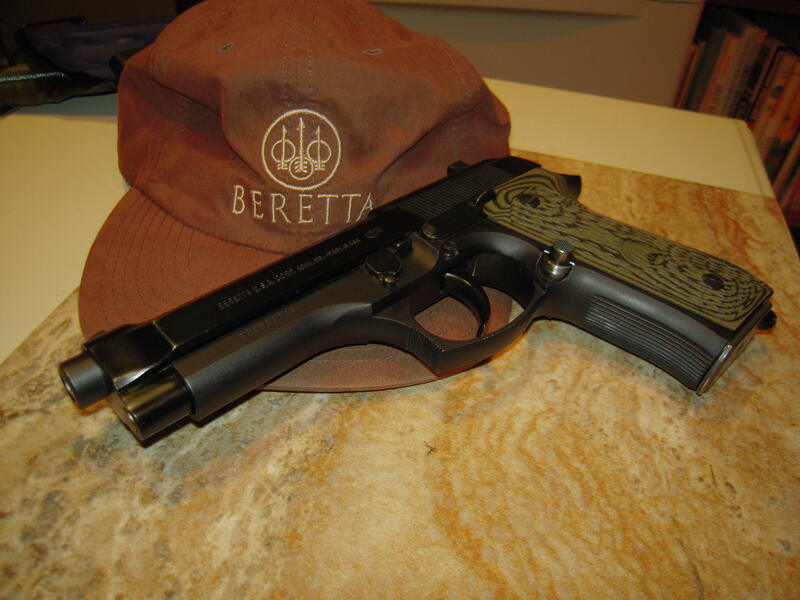 Since you have a lot of experience with the P89 and the 92D how does the P89 DA pull compare to the Beretta? 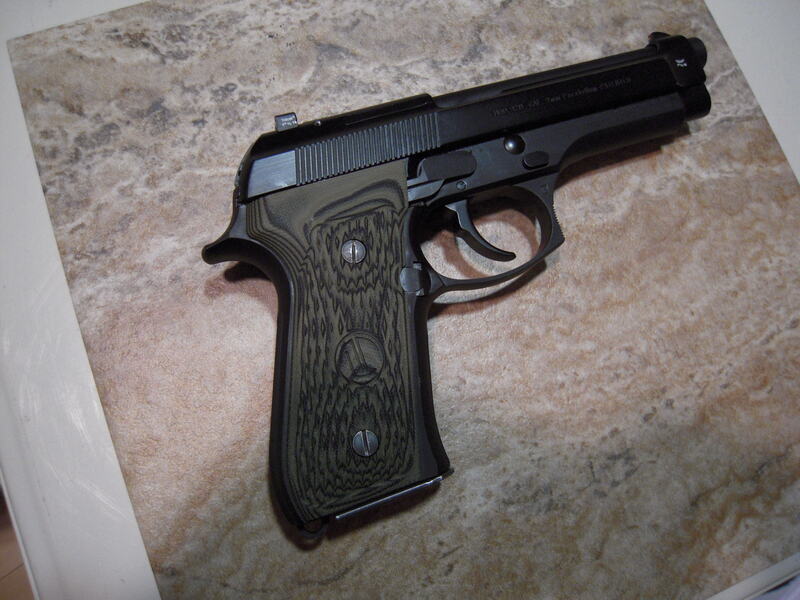 I've got 4 Beretta's, 92g, 92FS, 92FS Centurion and PX4. All of those have smooth DA pulls, especially if the sear has been removed. If the Ruger is close to that I'd be tempted to give one a go. That's a fair question. The Beretta 92D has a very (actually, exceptionally) smooth, rolling triggerpull-but it's somewhat long (very double-action revolver-like), and, as a DAO, repeat triggerpulls will be the same-with a fairly long reset-letting the trigger go all the way forward (again, like a revolver). The Ruger P89's DA pull (at least on mine) is also very long, and remarkably smooth-but probably not quite as smooth as that on a 92D (but other than on a classic, and probably tuned Smith & Wesson revolver, not that much is going to be as smooth as the pull on a 92/96D-and how great they are out of the box). The Ruger's follow-up SA shots benefit from a relatively short triggerpull distance, and the SA triggerpull itself is reasonably crisp, quite predictable, and with a pretty short reset distance. 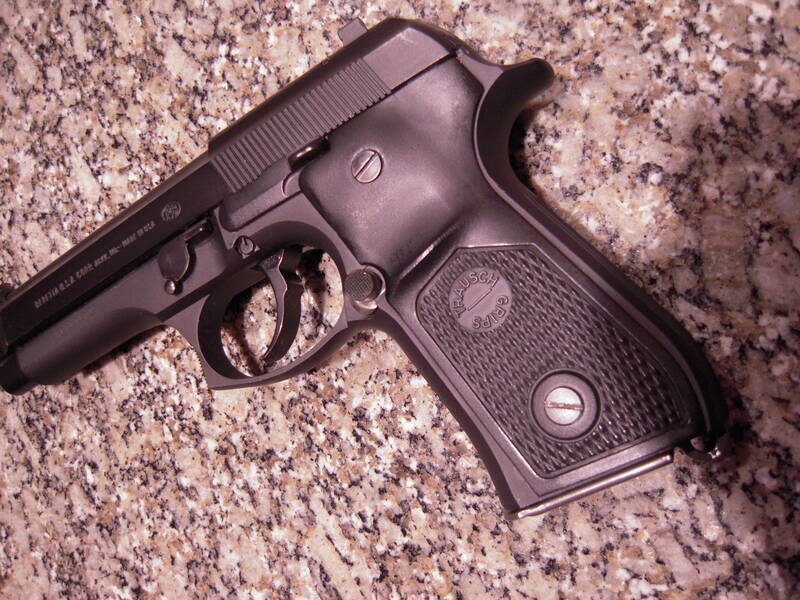 Frankly, the P89 is actually one of the easiest pistols in my inventory to index with and fire very accurately with. Other than lubrication, the only mods peerformed on my P89 is to have replaced the OEM Xenoy grips with a set of Hogue rubber fingergroove grips, and to have filled in the white sight dots with a fluorescent yellow front and fluorescent orange/red rear dots; for some reason, on that gun, that color combination seems to work a bit better for me than my normal fluorescent green front and orange rear dots; YMMV. While I like the Ruger P89, and have no hesitation in recommending one (particularly a later-production example accurized by Ruger re-aligning the barrel's positioning in the slide, easily identifiable by the rear of the breach rising above the slide plane when in battery), given your Beretta-centric orientation, I'd probably recommend that you acquire a 92D/92D Centurion to maintain muscle-memory and holster/magazine pouch commonality. Last edited by JonInWA; 08-30-2017 at 02:16 PM. I wanted to ask, in your opinion, what is the currently available closest equivalent to the Trausch grips you are running? Do you happen to know what the width of the pistol grip is with them installed ? I know it is thickest at the screws... but at it thinnest point? At top screws: 1 7/8"
At thumbrest (on left grip): 1 5/16"
At narrowest portion (at midpoint of grips, between the top and bottom screws): 1 5/32"
At bottom screws: 1 11/16"
Last edited by JonInWA; 08-31-2017 at 05:33 PM. I spoke with one of Federal's ammunition techs about the Champion Brass and Aluminum-cased 9mm cartridges; my assumption that the brass-cased were a little warmer was incorrect-they're both loaded out the same. When I mentioned the relatively low chrono results with their 115 gr Brass-cased, he suggested that I'd probably have better results with their American Eagle selections, particularly for matches. While the Aluminum-cased certainly works acceptably, his feeling was that the Brass-cased better forms to the chamber on firing and is probably a slightly better all-around choice. 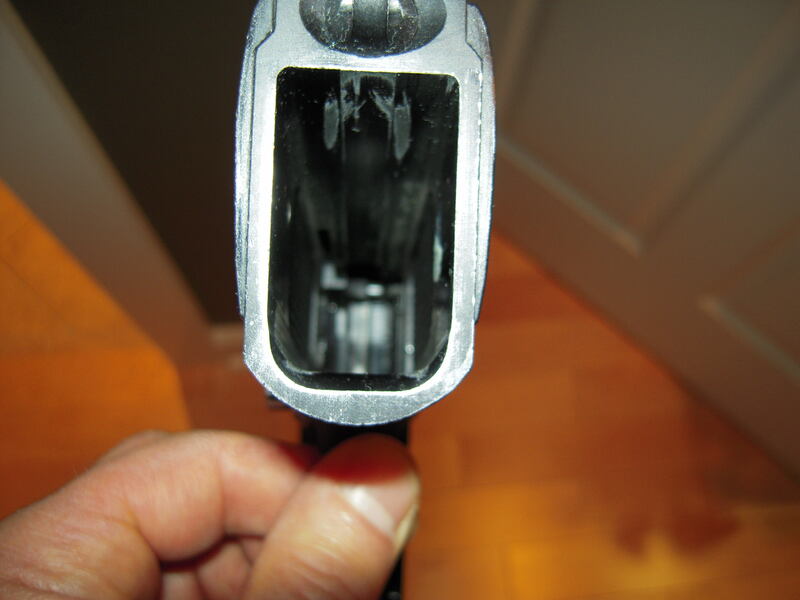 I had planned on replacing all of my springs and followers in my Check-Mate dry-film magazines after the State match, as a preventive measure after experiencing the one failure of the slide to lock back on an empty magazine. However, Check-Mate exceeded my request and expectations, instead providing me with 8 brand-new dry-film magazines-so I'll probably perform a functionality test with the older ones with the more powerful American Eagle fodder-all of the magazines mechanically locked back, so I'm loath to throw out the baby with the bath water without justification, especially since the original sets have performed so well for 7-11 years. Obviously I'll also test the new issued magazines as well, but for the time being I'll probably keep them sealed in the treated kraft paper sealed individual envelopes they came in, except for the one I opened, and will use as a comparison with the older ones (I'm especially interested in seeing the differences in spring lengths). While I'm not wedded to any magazine per se, I'm now slightly more inclined to believe that the one slide lock failure was more likely due to slightly under-powered last cartridge than to any of the other possible causal factors (spring/follower wear or accumulated grunge on the follower/slide stop), but we'll see. Last edited by JonInWA; 09-02-2017 at 05:01 PM. Thank you so much for taking the time to measure that. It really helps get a sense of what is available now. Latest update, guys. I just replaced the 14# mainspring with the 13# one from the Wilson Combat Ultimate Action Tune Kit http://shopwilsoncombat.com/Wilson-C...oductinfo/748/. There was absolutely nothing wrong or dissatisfying to me with the 14#, but I was curious to see if the 13# would run with the same exceptional reliability-and at a pound lighter. Great news-it does. For some potential further action smoothing, I apply Lucas Red "N" Tacky #2 grease to the inside of the mainspring, which then fits over the hammer spring guide/strut. 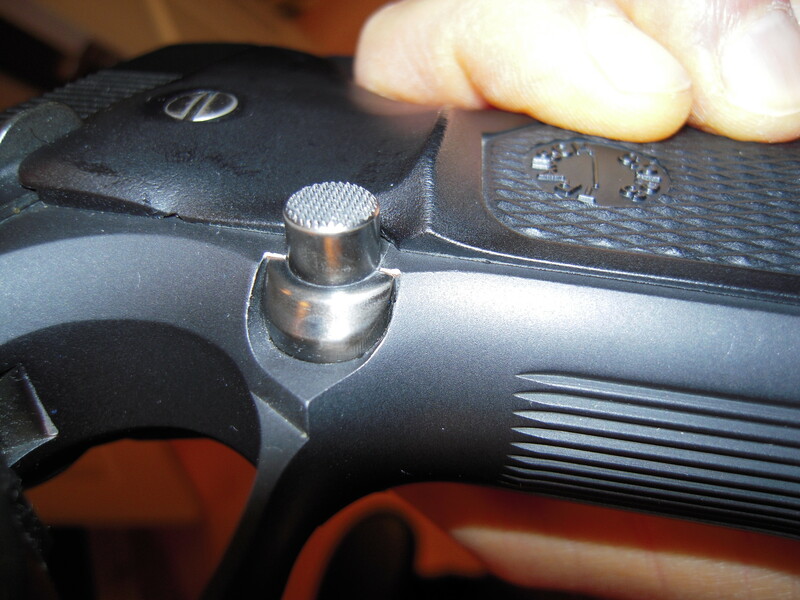 I also applied the same to the portion of the triggerbar exterior and the right grip triggerbar channel in case there's any triggerbar rub occurring when cycling the trigger. I then tested with Federal Champion Aluminum-cased 115 gr, Federal Champion brass-cased 115 gr, Speer 124 gr +P, Hornaday Critical Duty 135 gr +P, and Federal Classic 115 gr JHP. Zero problems with chambering, ignition or extraction/ejection, and 7 yard accuracy with all was excellent; 1" to 1.5" averages. I suspect that with the increased hammer travel/imparted hammer ignition force provided by the Wilson Combat triggerbar that I could safely go to the 12# spring, but since the gun will be used for duty carry, concealed carry, and home/nightstand defense I'll stick with the 13#. Future work? Possibly obtaining a set of Langdon Tactical grips; while the Trausch grips on mine are superb, they're pretty much unobtainable, and have been so for several years; it might be interesting (and pertinent to others) to comparatively run a set of the Langdon Tactical/VZ grips, which appear to be the best of the grip-slimming alternatives currently available. The Trausch grips literally positively transform the handling of the 92; might be interesting to see how the Langdon Tacticals compare. Eventually, when necessary I'll upgrade the locking block to the current Gen 4 Beretta block, but my Gen 2 is running flawlessly, and BUSA has advised me just to run it until any issues/appreciable wear develops. Another possibility down the line might be to send the 92D to WC for them to perform their action tune, but mine is pretty slick as it is, and I imagine that the components are pretty well burnished in together with use, so I'm uncertain if an action job at this point would yield much more than an incremental improvement, if even that. It's of great interest to see the "classic" 92 flourishing today, particularly with the attention and options offered by Wilson Combat and Ernest Langdon; kudos to both of them. I had some excellent conversations with Ernest and Aimee Langdon, who have very graciously provided me with a set of their LTT Dirty Olive (in commemoration of my Army service) grips. While the Trausch grips that the late Jacques Trausch provided to me have been superb, the reality is that they have been unavailable since his untimely passing several years ago, and were never well know or effectively distributed in the US throughout their production. The essential characteristic of the Trausch grips was their thinness, which literally transformed the handling of the Beretta 92 in a very positive sense, making it feel and handle like a single-stack pistol. 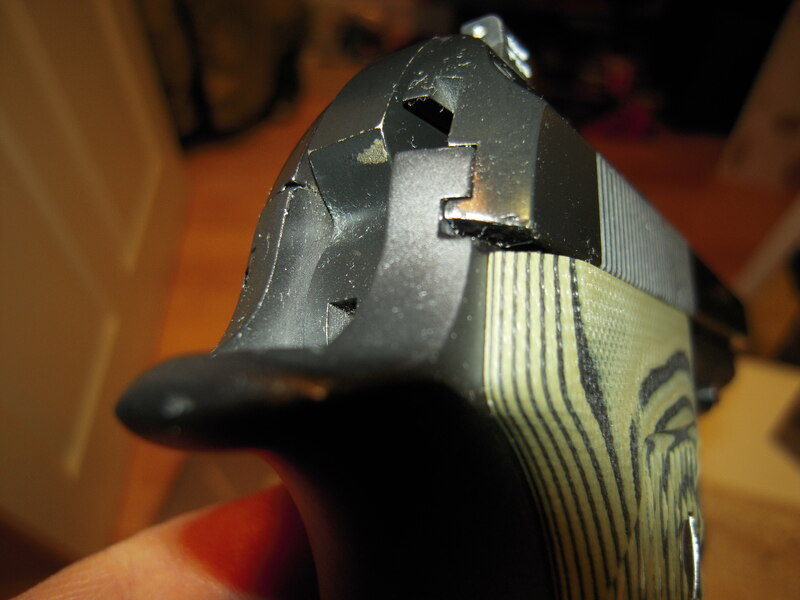 They were made of a fiberglass/polymer composition, and had some unique characteristics, such as a vestigial (but effective) thumb shelf on the left grip, which I found also nicely shielded an extended magazine release from being inadvertently activated if the gun was pressed down upon while lying on the left side. The Trausch grips weren't perfect-O-rings were needed to provide enough stand-off distance from the grip screws from scratching the magazine tube sides, and on the right grip the ear tang portion tended to warp slightly away from the receiver during the grip curing process, which Jacques was never totally able to resolve-when I discussed it with him, he sent me another set-with the exact same problem. While theoretically this provided a media entry point, in actual use in my case it was a non-issue (but could have been one if the gun was exposed to high velocity particulate matter, such as Iraqi or Afghanistani fine sand from rotor-wash, for a possible example). 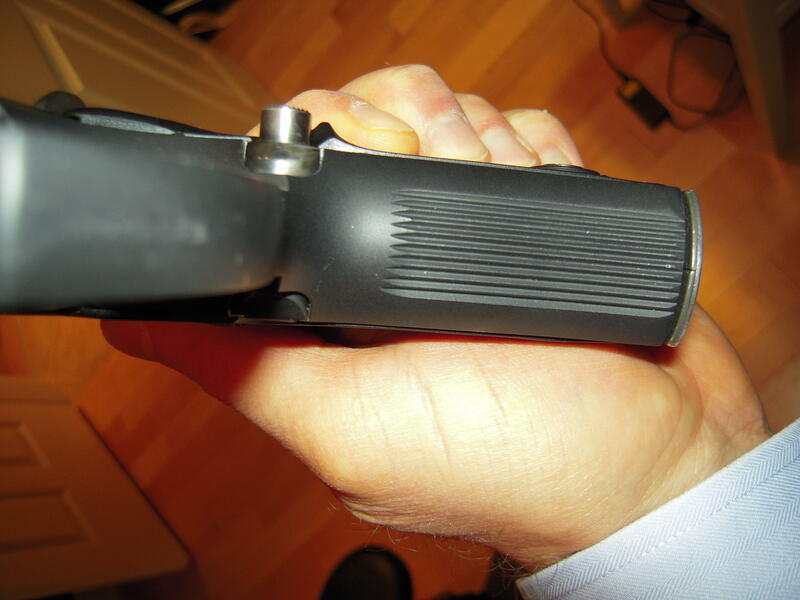 I also notice that the right grip plate on the LTT's totally covers the hole in the right grip tang area on the upper trailing area of the grip that the Trausch grip and the Ergo grips leave partially exposed; the LTTs seal another potential egress area from media intrusion. 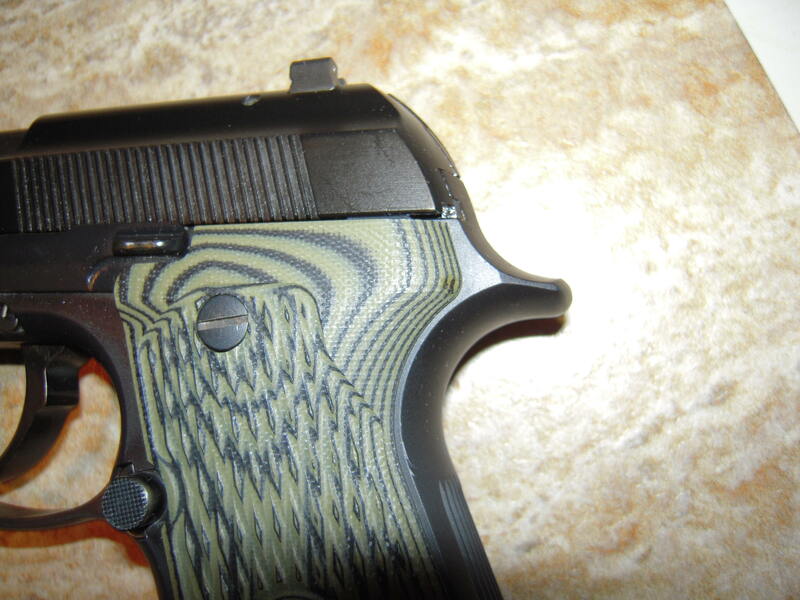 VZ makes the grips for LTT, which have multiple incarnations, on VZ's own proprietary site/sales, as provided to Wilson Combat (in multiple thicknesses and finishes) and to Langdon Tactical Technology, incorporating Ernest Langdon's specified directional checkering and increased checkering coverage areas on an ultra-thin grip, in ultra-strong G10 composite material. The questions I had were these: Were the grips effective, and how would they compare to the Trausch grips, which in my experience are the gold standard in 92-series grips (for my medium-sized hands, at any rate)? Upon arrival, I found the LTT grips to be exceptionally well made and finished, and fit perfectly on my 92D, with no gaps anywhere. There was, on the left grip, a slight hole on the rear tang portion; apparently VZ affixes the grips to some sort of a tombstone fixture during production, which I believe incorporates strong pressure and heat to form and blend multiple sheets of G10 material into a single grip panel. 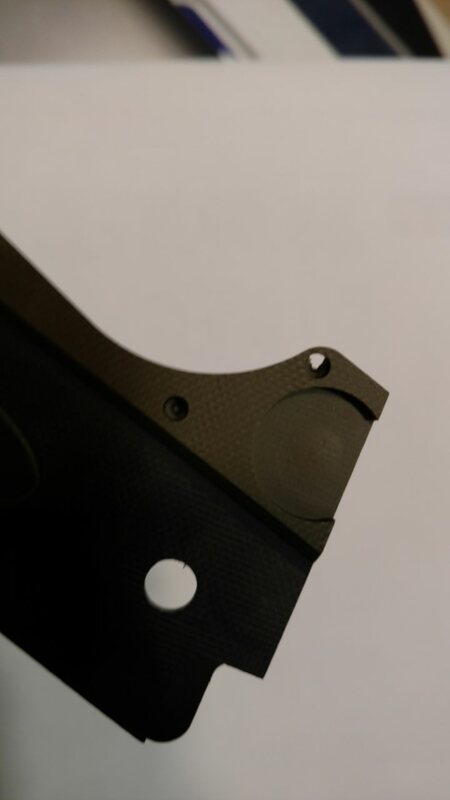 In the back of both grip plates, there are 2 holes, which do not correspond to any receiver pegs on the gun, so I assume that they provide receptacles for ejection pegs on the manufacturing tombstone. At any rate, at the thinnest portion, one of the recesses had partially broken through the exterior surface. This was of absolutely zero operational consequence, as the hole butts against a solid portion of the receiver, no there is no avenue for external media to penetrate further into the receiver or the action, and the strength of the grip was not compromised. Mine was a unique anomaly; neither Ernest or Aimee Langdon had seen it before, and no other user has mentioned it on any of the previous discussions of the grips. Ernest immediately offered to replace it, but I told him that it was totally unnecessary, as it was a total operational non-issue, and to preserve my sense of aesthetics (and possibly a latent OCD disorder) injected some Testor's Contour Putty from the inside of the grip, and formed to match the exterior, totally filling in the gap, and then carefully painting the area to match when cured. And, since when you have a hammer, everything looks like a nail, I simultaneously used the contour putty to fill in the 3 other holes, to preclude any future issues if nothing else. Again, the small hole was of no issue whatsoever, and Ernest immediately offered to replace it, which I didn't feel was necessary. 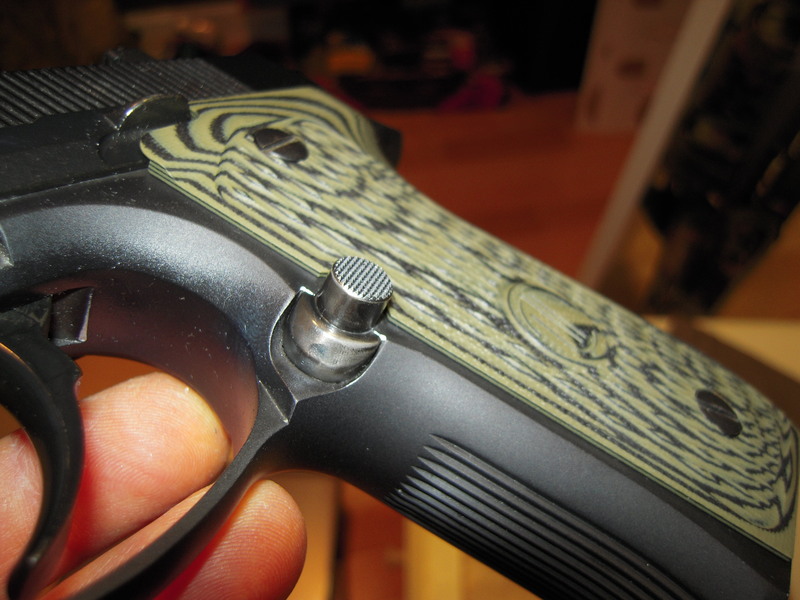 Thickness-wise, the LTT and Trausch grips are very close; I measured 3 areas: At the upper grip (at the upper screw hole surround), the center grip (at the emblem) and at the lower grip. I've conducted on relatively brief live fire familiarization with the LTT grips; fit, feel and function is excellent. While my ultimate conclusions will be based on increased and long-term use (I will use these grips on the 92D at least through my 2018 shooting season, primarily in IDPA (both in club-level and at least one Tier III State Championship match), I'm extremely impressed impressed. The LTT grips' thinness is very close to the Trausch grips (Ernest told me that he had not targeted his grips against the Trausch-given the Trausch's low visibility in the US even when they were produced, and virtually non-existent awareness now due to their unavailability for years, that's no surprise; instead, his and VZ's target seems to have been achieving the greatest thinness without structural compromise, and maximizing grippiness, achieved bay the combination of the inherently chalky feel of G10 and Ernest's directional checkering and increased checkering surface area. I was concerned if placing the gun on its left side and pressing down would activate the Wilson Combat Extended Round checkered magazine release, due to the LTT grip's thinness and the lack of a protective strake. The answer appears to be "no," as the protrusion of the slide release provides enough stand-off distance, at least on hard surfaces. 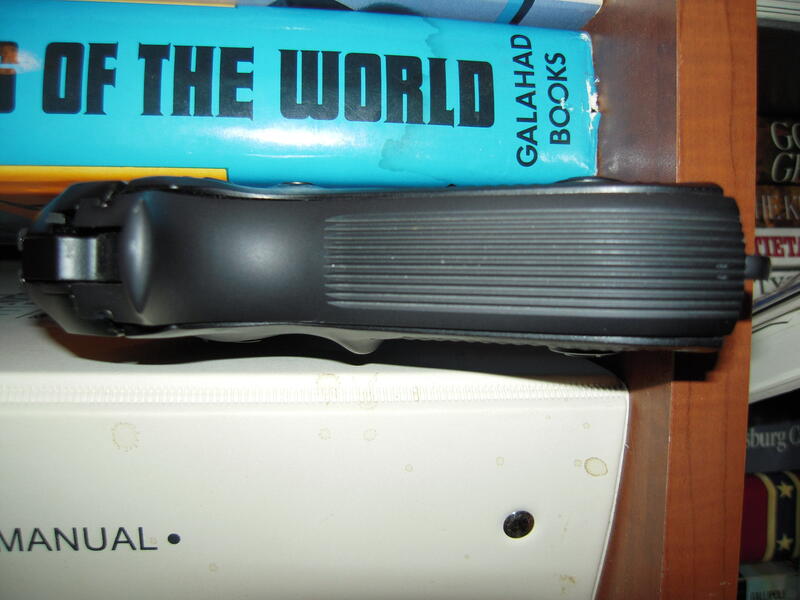 However, on surfaces with any give, the magazine release can be activated when the gun is pushed down upon, so this is something I'll have to be cognizant of, particularly regarding holster selection primarily (with my existing Olen kydex holsters it's a non-issue, and for nightstand use with the gun placed left-side down on a flat hardwood nightstand, it's a non-issue. 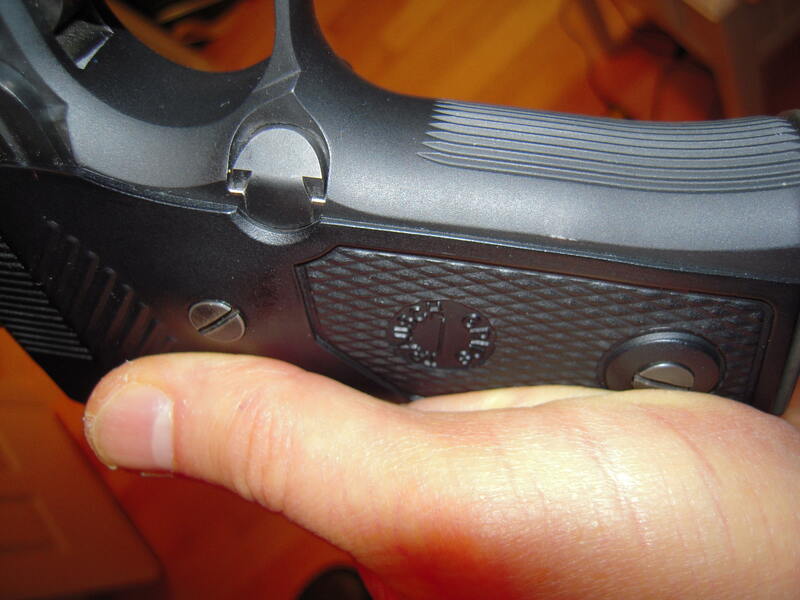 Another potential issue area that has raised its head with the VZ G10 grips has been that of triggerbar rub, where the triggerbar rubs against the side of the grip interior in the grip's triggerbar channel during trigger manipulation. On my LTT/VZ grips, this has been a non-issue, but as a proactive measure I also applied Lucas Red "N" Tacky #2 grease to both the raised triggerbar horizontal flange and in the grip triggerbar channel itself. The triggerbar that I'm using is the Wilson Combat/Langdon thorough-hardened improved triggerbar, which I thoroughly impressed with as discussed earlier in the thread; I'm glad that there are no issues with it whatsoever with my LTT/VZ grips. Aesthetically, appearance, fit and finish of the LTT grips are excellent, providing a nice "pride of ownership" factor. The LTT impressed emblems are subdued and tasteful. In short, I really like how the grips are designed, feel, function and look. While the Trausch grips still probably hold the award for ultimate thinness, the LTT/VZs are very, very close, so that in a practicality it's pretty much a wash when comparing them to each other And, the LTT/VZ grips available, and at a reasonable price; the Trausch grips are pretty much made of unobtanium. The LTT/VZ G10 material is inherently superior, in my opinion, in both providing a non-slip feel and in strength. Ernest recommends using O-rings (as opposed to Beretta lock washers) to secure the grips and preclude screws from backing out in use from vibration. I use 2 of Challis' excellent O-rings per individual screw. (specifically designed for firearms grip screws in terms of material composition and size/thickness)http://www.challisgrips.com/p/107-Bu...-8-pieces.aspx. 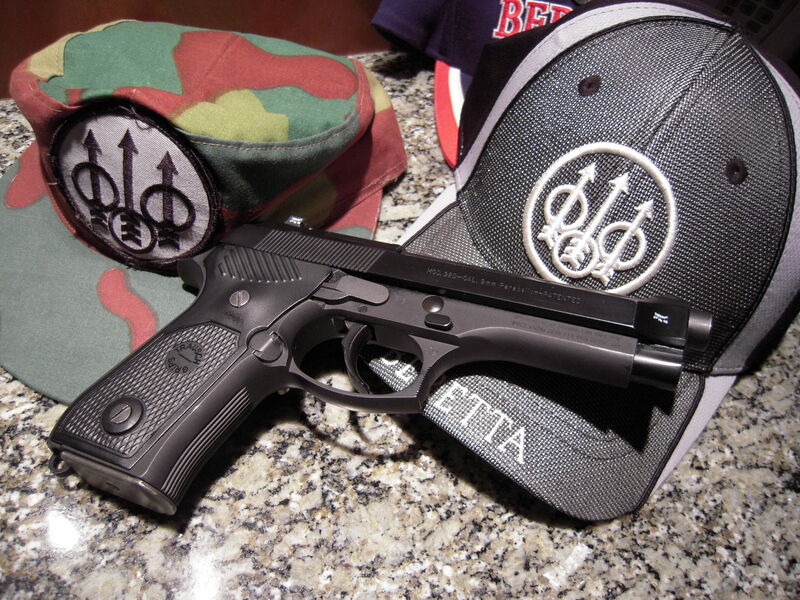 Many thanks to Ernest and Aimee Langdon for their interest and support (and their continued interest and support towards collaboratively working with Beretta and Wilson Combat into providing improvements and refinements to the Beretta 92 and PX platforms, significantly improving their viability and performance), and I'm very much looking forward to the LTT grips long-term use on the 92D. Last edited by JonInWA; 12-07-2017 at 02:31 PM. 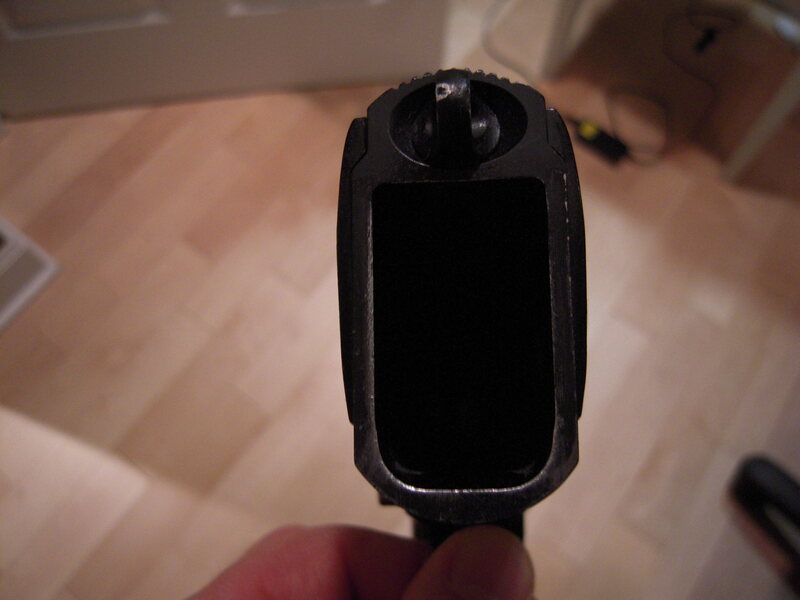 Another item of minor interest regarding the physical features of the LTT/VZ grips in comparison to others its that the other grips on their interior all have either oval bracing or a raised oval block to fit into the receiver's magazine window on the sides of the receiver. 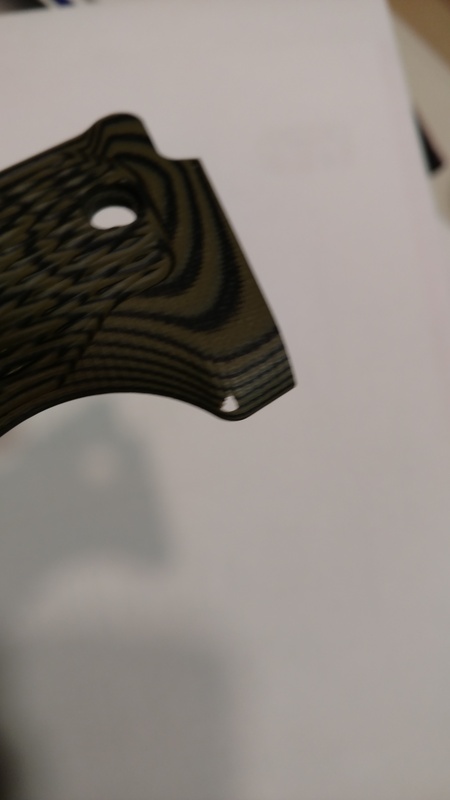 The LTT/VZ grips index and are secured around the vertical buttress and the grip screw bushing bosses only; my thoughts are that the increased inherent strength of the G10 material precludes the need for additional interior grip blocking and/or bracing. May 2018 Update: I'm into the second month of my commitment to the 92D as my primary carry/duty/competition pistol. Yesterday's IDPA match with it went extremely well, despite my fighting a case of tendonitis, which really significantly slowed me down (not that I'm noted as the speediest of shooters anyhow-actually, quite the opposite...). In a 7 stage match where I expended some 131 rounds, I experienced zero operational issues, and was only 24 points down for the entire match (and frankly, 10 of those points were accumulated in 1 fell swoop when I totally failed to engage a target after a reload-a great situational awareness learning point...). The 92D is exceptionally inherently accurate, but the Wilson Combat Ultimate Tune Kit, Langdon Tactical grips and Tool Tech/Trijicon sights really enable the platform to come together as a synchronized machine. As Enel mentioned in another 92D post, these guns are just flat-out fun to shoot, and are exceptionally rewarding of technique concentration and practice (a daily dryfire program has really paid off in spades for me). I am appreciating how the gun indexes and retains stability throughout the draw, sight acquisition and firing/follow-through sequences. The triggerpull with the WC triggerbar, 13# mainspring, WC trigger return spring, and Wolff triggerbar spring is exceptional. I'm using a 14# extra power WC chrome silicon recoil spring for all-around use. The WC checkered extended magazine release works quite nicely for expediting magazine exchanges. Ammunition used was Federal Champion aluminum-cased 115 gr, ostensibly providing a 131 power factor (but similarly loaded brass-cased 115 gr Champion chrono'ed out at 126 power factor, out of the same gun last year in summer temperatures of around 75-80 degrees)-for this year's State IDPA CHampionshio match, I'll be using American Eagle for a 135 power factor-the 126 achieved with the Champion was a bit too close to comfort regarding a 125 power factor floor, especially for a major match. 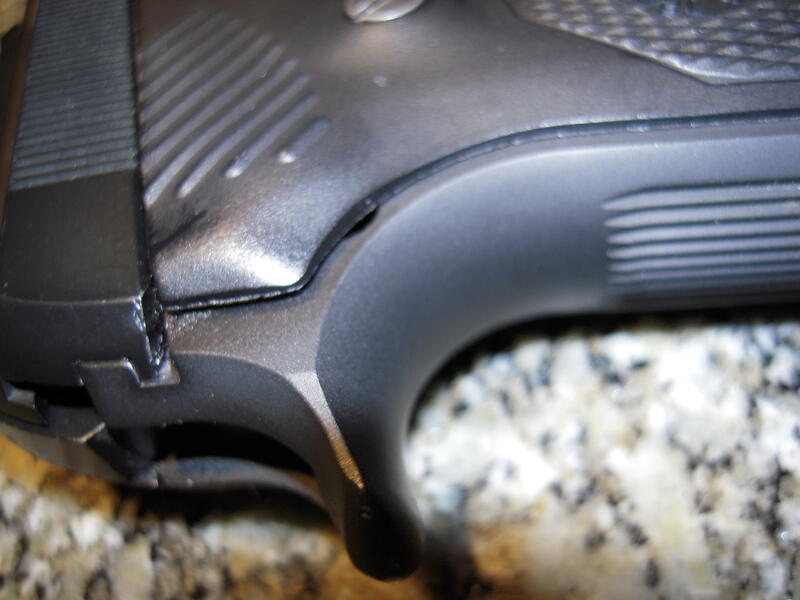 Holster used was my Olen IWB pancake, secured with 2 aggressive loop clips. Magazines were Check-Mate dry-film; no issues were encountered despite the magazines being dropped in fine power-like dirt throughout the match. 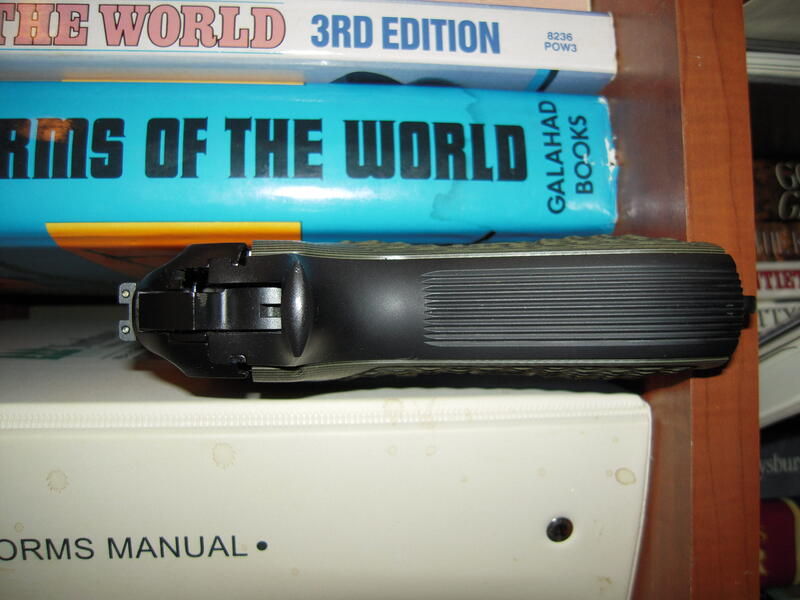 Magazine pouch was a Tactical Tailor dual Magna unit, with rare earth magnets integrally embedded in the pouch body, which enabled me to carry the magazines upside-down securely, regardless of physical movement. Instead of having to yank up (or flip outward) my cover garment for magazine access, I merely reach under the garment, grab the magazine, and yank down. I've experimented with this for several years, and it works well with practice. It's a useful technique with Hawaiian-type shirts and similar. Jon: Really informative write ups. You might want to experiment with the 11# spring. I tried an 11# spring from Langdon Tactical (with one end nicely polished) in my 92D and--to my surprise--I have the better part of 1000 rounds through it with no failures to fire. Meanwhile the trigger pull is amazing--extremely smooth. 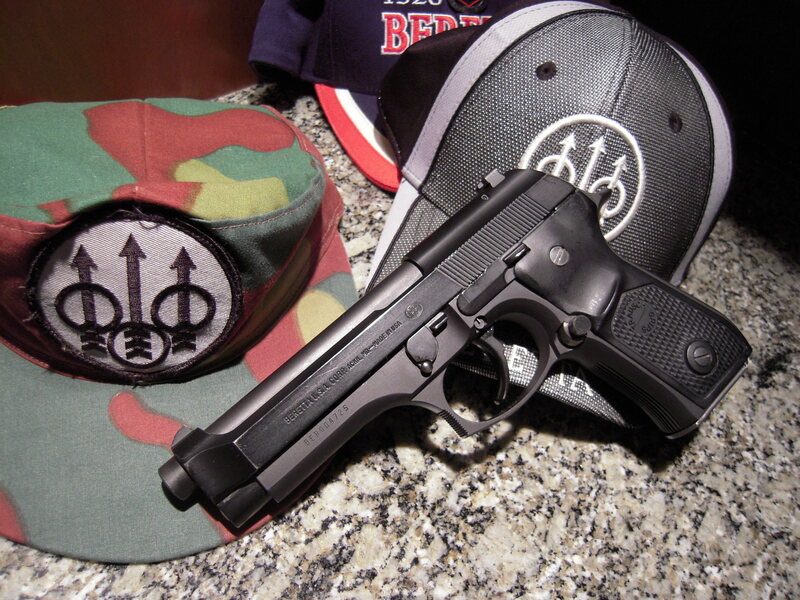 Langdon Tactical is changing the Beretta 92.